CycleSurgery are joining in with the Black Friday offers. 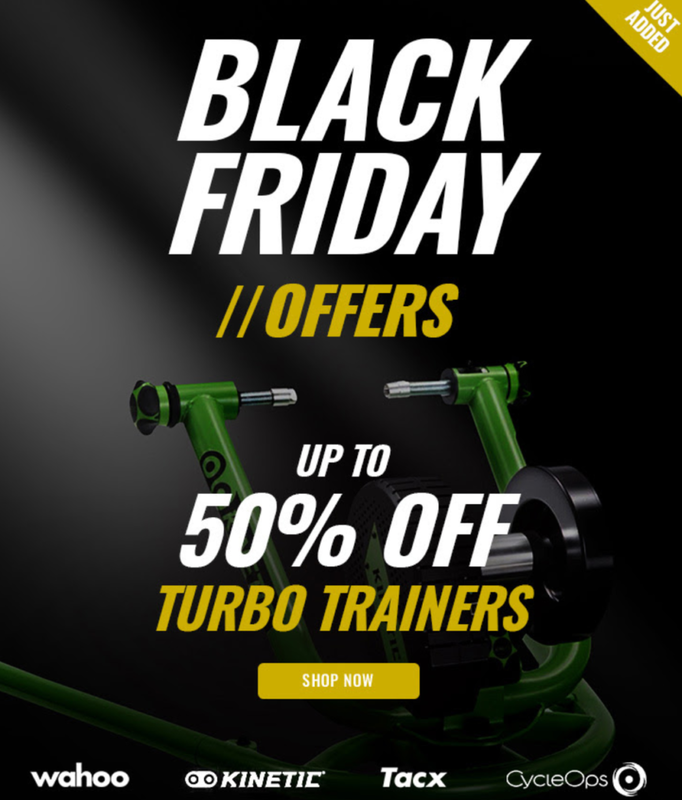 There's up to 50% off turbo trainers as well as other massive discounts throughout their stock. Check out their website for the newest offers!